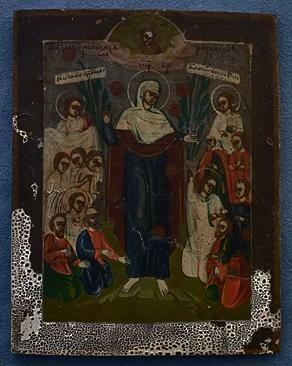 Authentic antique 18th century Russian Orthodox hand painted icon “the Mother of God, Joy of All Who Sorrow”; in the center The Virgin with a warder in her right hand with the groups of suffering people on her sides and the Holy Face on the top part. 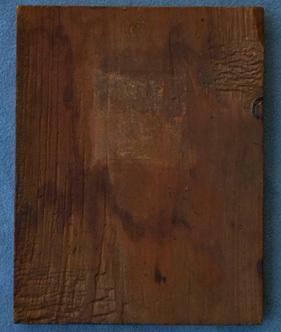 CONDITION: The icon is in the original good condition with nice old patina. No repairs or restorations.